Our fire protection, intumescent fire retardant paints & coatings are suitable for a vast range of projects including: steel, decorative and wood painting. Water based intumescent steel paint technology gives a smooth finish in a faster time than other methods. Given the environmental benefits of water based coatings then these products are now the preferred choice among specifiers, building inspectors & applicators alike. Fire protection for 30,60,90 minutes over a wider range of section types, as well as being very easy to apply. 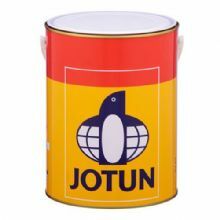 For when environments which are exposed or semi-exposed then a solvent based intumescent steel paint will provide an answer in obtaining an excellent finish in a reasonable time frame. Timber fire retardant paints & intumescent coatings are vital to ensure the safety & fire resistance of timber surfaces. It's also essential to meet British safety standard BS 476 when it comes to fire regulations for domestic & commercial buildings.